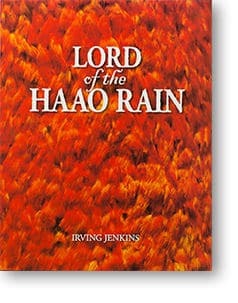 The second edition of Lord of the Haao Rain is available now for $45 plus shipping (top button). There is a very limited quantity of the signed, numbered, First Edition for $100 plus shipping still available (bottom button). Click the button to order, you can specify quantity and delivery location during the checkout process. Orders are processed by Hot Pixel Press. *Applies to orders in the United States only. Contact us for international shipping costs. There is a very limited number of these signed first edition copies available. Click the button to order, you can specify quantity and delivery location during the checkout process.